"MOVEMENT IMPROVEMENT T'AI CHI AND QI GONG FOR BALANCE AND MOBILITY" teachers are listed with their bios below. We are happy to have these great teachers on our team! We highly recommend that any TC or QG teacher is certified so that students can be more confident that he/she receives the authentic movements and information, and therefore the attested benefits, delivered in an appropriate and correct manner, and that the teacher has the skills for student safety. Certification/permission is also the traditional path. We are pleased to provide training to teachers in Movement Improvement T'ai Chi around the country. Certifications are granted after extensive training, and are granted in Levels, with Level One being the first step, Level Two follows, and then the specialty of Level Three. Not all who train are granted certification, as our standards require a real knowledge and understanding of the movements, their applications, their benefits, contraindications and matters of classroom safety. We are pleased and honored to also have many teachers certified to teach our Movement Improvement T'ai Chi program in different cities. These teachers have successfully completed the intensive class to become certified instructors. ONLY certified instructors may teach the MI program. If you have any questions about your teacher, or would like to become a teacher, please click here to email us! These teachers have studied with us for years, have taken our intensive 40 hour course, trained on the job for more than one year, served as assistants and volunteers, have substituted and led classes, continue their studies with us, and have successfully completed the Level One exams, both written and in practice: Carol Issa, Li-Hsing Wang, Pam Revie-Pettersen, Sally McHenry, Shawn Dooley. These teachers have successfully completed Levels One and Two, have received Advanced Level Intensive Teacher Training in our Teaching the Teacher Methods and Procedures, evaluation techniques and teacher review training, volunteered on site for on-the -job training at various locations, and provided superb assistance in our highest level courses. These teachers assist us in our Teaching the Teacher Program across the country. We are pleased to have Cate Morrill, Harvey Meisner, Carol Issa, Cis Hinkle, Donna Church, Pam Revie-Pettersen, Sally McHenry, and Shawn Dooley teaching our Movement Improvement T'ai ChiR classes around Atlanta. We are honored to have Li-Hsing Wang as our at-large assistant and MI substitute. All of our teachers go through many components of extensive training, are Certified in CPR, have been taking classes with us for years, and will be happy to share their T'ai chi and/or Qi gong training with you! Cis has been studying T’ai Chi and Qi Gong intensively since 2002. Her studies have been primarily at the Rising Phoenix T’ai Chi Studio with Cate Morrill, under whose endorsement she teaches. She has also studied with Master Yun Xiang Tseng, 14th Generation T’ai Chi Master from Wudang Mountain, China, and Master Wei Lun Huang. As an assistant teacher and primary teacher with the Rising Phoenix T’ai Chi Studio, she has worked with various special populations, including those with visual impairments and mobility issues. She is a certified instructor in our Movement Improvement T'ai Chi program, and has been teaching older adults since 2005. Cis has been a contra-dance instructor for over 20 years. She brings this teaching experience and love of movement to her t’ai chi and qi gong instruction. Her relaxed, personable manner, patient teaching style, and interest in her students make her an ideal teacher for beginners and intermediate practitioners alike. We are delighted to have Cis teaching with us at our studio and around Atlanta! 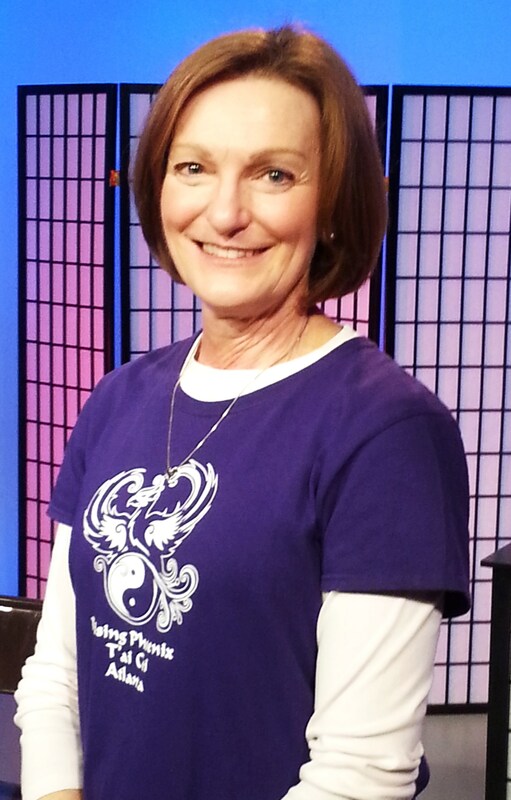 Donna Church has studied T'ai Chi and Qi Gong at Rising Phoenix Studio for more than 9 years, and she is a Certified Level One Movement Improvement Instructor and teaches our program as a primary teacher and assistant teacher in many venues around Atlanta. She is also a substitute teacher for our T'ai Chi 24 and Qi Gong classes. Donna has also studied with our T'ai Chi Master Yun Xiang Tseng of WuDang, China. She also studied ballet seriously for many years. Donna taught elementary school for 31 years and is retired from Atlanta Public Schools. She brings her keen aptitude and training in movement and teaching skills to her classes. Before her retirement, she began attending Cate’s tai chi classes because she was attracted to the movement and the health benefits. Cate encouraged her to become a teacher in training as soon as she retired from teaching. She can appreciate the good that Movement Improvement provides. Her patient ways and bright, happy spirit are enjoyed by all of her students! We are happy that Donna is on our team! Sally studies T’ai Chi and Qi Gong with Rising Phoenix T’ai Chi Studio, which she began in 2009 upon her retirement from county government outside of Atlanta. Beginning in 2012, she also attended workshops with our T’ai Chi and Qi Gong Master Yun Xiang Tseng of Chi For Longevity, 14th Generation T’ai Chi Master from WuDang Mountain, China. Sally came to our studio with 30 years prior experience training adults in an employment setting, in programs including wellness and physical fitness, which often required combining mind and body skill sets. Her keen focus on learning T’ai Chi and Qi Gong as a moving meditation, with her avid attention to detail, has supported Sally’s development. In early 2013, we invited her to train as a Movement Improvement T’ai Chi Instructor, and she quickly achieved the Level 1 Certification. We put her to work in 2014 teaching older adults, including those with mobility challenges. Sally assists with a number of our other Rising Phoenix course offerings at our studio and around Atlanta, substitute teaching as needed for many of these classes. The students enjoy Sally’s clear instruction and patient and gentle coaching! 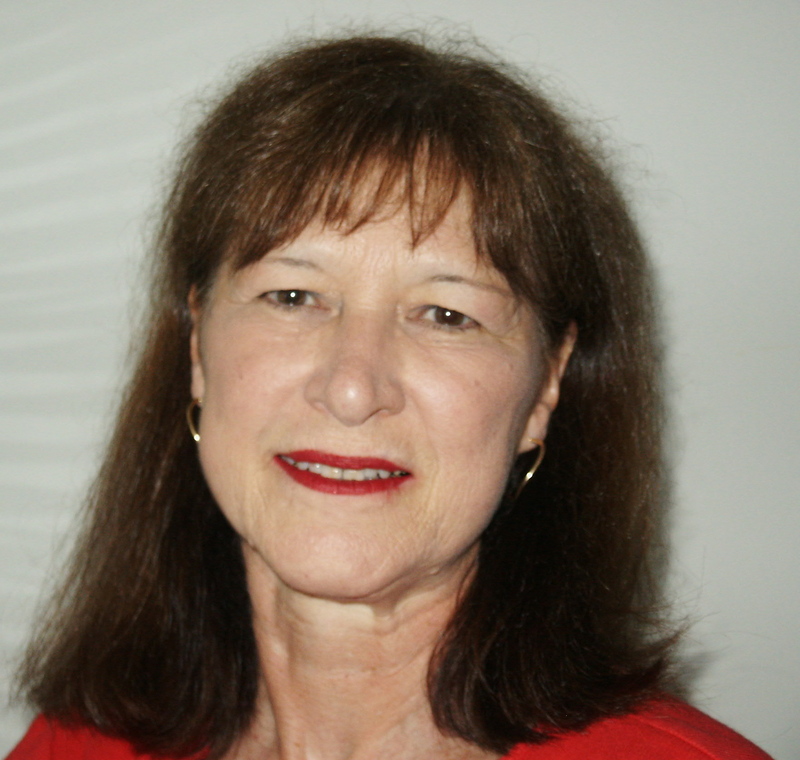 Sally is a retired public administrator and an active participant in the Irish music and dance community. She provides sound reinforcement work for traditional music concerts and dance events around Atlanta and beyond. She is multi-skilled and multi-talented, and we are happy to have Sally on board! Shawn has been studying T’ai Chi and Qi Gong since 1999, when she began through her workplace fitness center at The Coca-Cola Company with Cate Morrill. She has studied at the Rising Phoenix T’ai Chi Studio and has also attended workshops with our T’ai Chi Master Yun Xiang Tseng, 14th Generation T’ai Chi Master from WuDang Mountain, China. When she retired in 2013 she was invited to participate in the Movement Improvement Teaching the Teacher program with Cate and received her Level 1 certification in January of 2015. She has had extensive on-the-job training at various classes, primarily under the direction of Harvey Meisner. She has worked with strong and frail adults, those with Parkinson’s Disease, arthritis, and more. She is a willing volunteer with many classes, and a selected substitute for them as well. She leads several classes weekly, and is well liked and respected by her students. Her thorough explanations and keen sense of order are key components to her success. Shawn particularly enjoys working with older adults and Alzheimer’s patients because she knows how important balance and strength are to these populations. Her ability to gauge what her students need, and the caring way she works with them, make her a popular and well-trusted instructor. We are happy to have Shawn teaching with us! Pam first began studying Tai Chi at Rising Phoenix Studio in 2010, after her retirement from the Dekalb County School System. In 2012 she began to consistently practice and study, showed great aptitude, and was invited by the director to enroll in Shoulders Down, Inc.’s Movement Improvement T’ai Chi and Qi Gong Instructors course in April of 2014. Pam has 30 years of teaching experience as a Preschool Special Education teacher, and during her post doctoral work taught graduate and undergraduate students at Georgia State University. Her extensive teaching experience has enabled her to apply the skills she developed over the course of her career to the teaching of Movement Improvement Tai Chi and Qi Gong to a wide range of students. Since completing her Level I training, Pam has taught and assisted in many classes, including those for Seniors, school aged children dealing with issues related to domestic violence, individuals working to overcome addiction, as well as those dealing with cancer. Her ability to communicate clearly, her joyful spirit and easy manner are well liked by her students, and she is often requested by other teachers to fill in as their substitute and assistant. Pam believes that the practice of Tai Chi and Qi Gong can enrich and enhance everybody’s life, and that all students can benefit from the practice whether attempting to improve their health or develop a deeper understanding of the mind, body, spirit, connection. We are happy that Pam is part of our team! 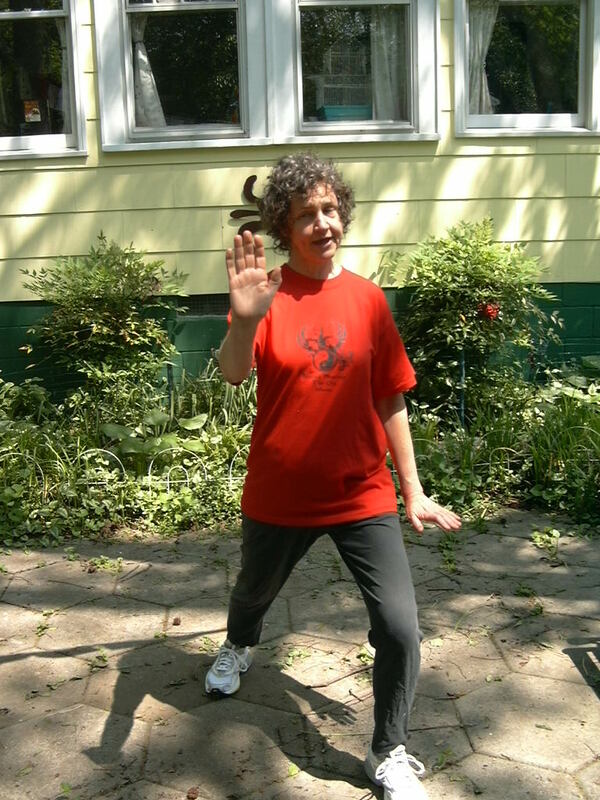 Carol has been studying T’ai Chi and Qi Gong since 2007. Under the instruction of Michael Issa of Kaikudo Martial Arts Academy and Cate Morrill of Rising Phoenix T’ai Chi of Atlanta, certified instructors under our T’ai Chi Master Yun Xiang Tseng (Master Chen), she has learned the Yang forms of 10 and 24, as well as many sets of Qi Gong. She has also attended Master Chen’s seminars and classes for many years. She has learned and practiced the Wudang forms of 13, 28, 52, Square Foot and various Qi Gongs. 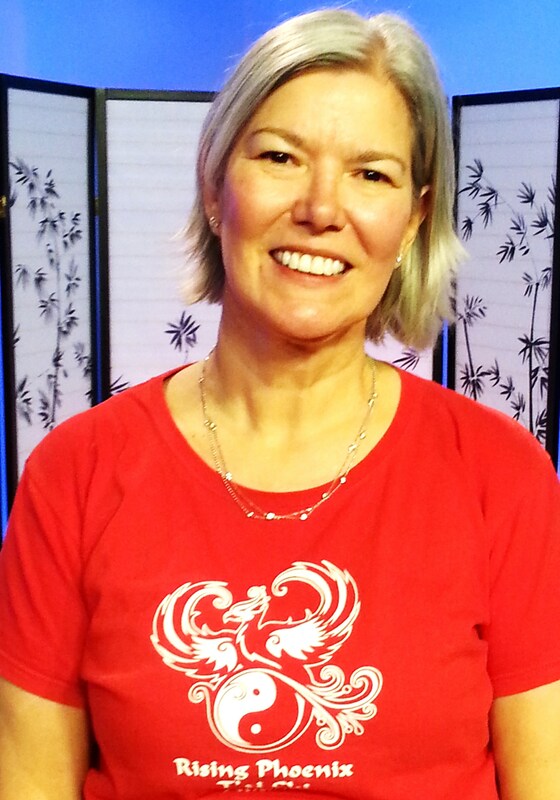 In 2014, Carol was invited to train in our Movement Improvement T'ai Chi program. Her intensive training has included many hours of classroom experience, primarily under Harvey Meisner, and she has taught strong and frail seniors, those with Parkinson’s Disease, arthritis, and assisted in classes for those with cancer. Carol is a retired school teacher who brings a passion and enthusiasm for teaching and assisting others in the learning process, and now, in learning and discovering the many healing benefits of T’ai Chi and Qi Gong that she has found so helpful in her own life. She has come to realize that the practice of T’ai Chi is a journey of healing at all levels. Her desire is to guide others in learning the gentle, but powerful movements that help create well-being in both body and mind. Her gentle spirit and joyful attitude endear her to her many engaged students! We are happy that Carol is teaching with us!